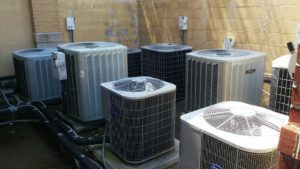 Alexander Heating and Air Conditioning provides Commercial and Residential Heating, Ventilation, and Air Conditioning Service and Repair. Our office is located in Holly Springs, NC and serves the greater Wake County and Durham County area. We are a fast growing company that is turning the HVAC service industry on its head. this is not your normal HVAC company. You will find the management team so much better than your typical HVAC management or owner. We treat our employees with the utmost respect knowing that we care about you. If you are ready to grow with us, apply for our technician position today. 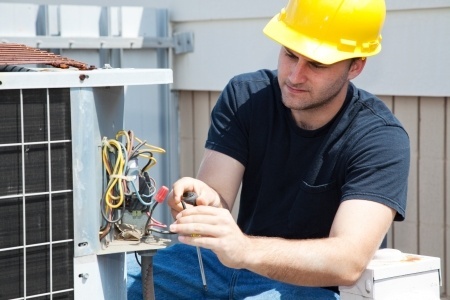 HVAC Service Technician to work on service calls for residential and small business units. Must be able to clean, tune and troubleshoot residential HVAC systems. NATE certification is highly desired. Vehicle, uniform and cell phone will be provided. Must be able to pass a pre-employment background check and drug screen. Work is hourly and will at times require weekend and overtime work. This job is highly seasonal and will require more hours during the peaks and there will be ample opportunity for time off during the slow seasons. Position reports to the senior technician and Operations Manager. Position is accountable for accurate diagnosis, following all quality procedures, documenting entire job details, maintaining a clean presentation, abiding by the dress codes, being on time for work, maintaining truck stock, answering phone calls or returning them within 10-15 minutes, maintain safe work practices, following all company procedures, safe driving habits, and any other accountabilities listed in the position agreement.